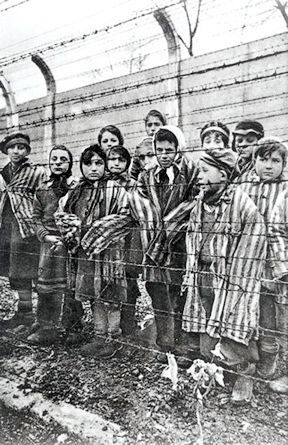 I just want to point out a fact here the kids are dressed up with the striped uniforms those were the uniforms they were given them to wear for the phoyo djoot to make it look like there prisoners notice how big they are compared to the kids. Jewish media is very deceptive and how they use pictures. Of course they have their agenda and vision of what they want to present to the public they don’t care about what the truth is. Noma? Isn’t Noma supposed to destroy face, starting from mouth? Wasn’t that rather a picture of Giant Nevus or something like that? Everything that I have ever read about Noma agrees with what you wrote: Noma causes holes in the bones of the face. 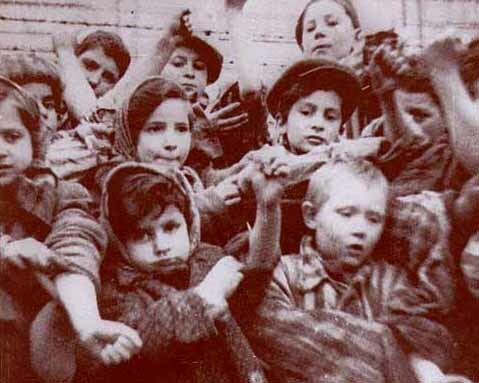 This photo, which I showed on my blog post, hangs in the Gypsy Museum at Sachsenhausen, where the caption on the photo says that the photo shows Gypsy children who are suffering from Noma. 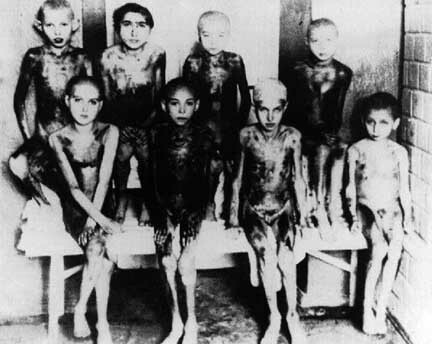 This photo is frequently shown, with a caption which says that these are Jewish children who were tortured at Auschwitz. 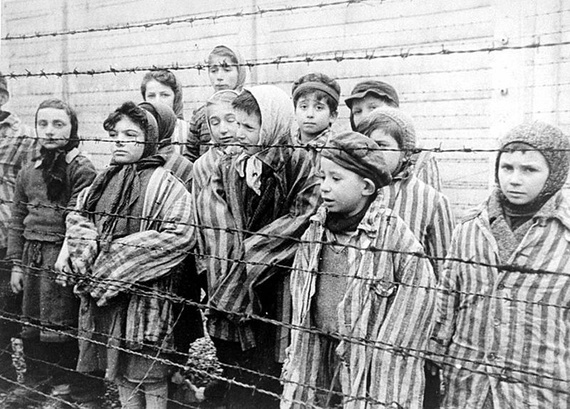 I recall having an e-mail exchange, years ago, with a Jewish man, who insisted that this photo showed Jewish children who had been tortured. 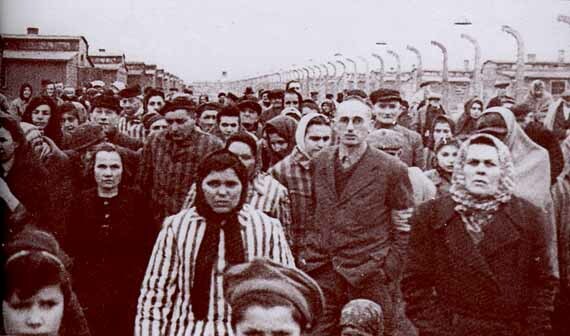 I once read that this picture was a forged picture with heads added on a painting (http://www.saveyourheritage.com/auschwitz.htm). Maybe it’s true. The Soviets used many forged pictures, including photographs of drawings (like this one: http://www.heretical.com/walendy/p3steps.html). I went to the website in the link which you provided, and looked at the photo again. The pretty girl in the photo has arms that are much too long. The second boy on the left in the photo has a head that is too big for his body. This makes me think that you are correct that this is a forged picture. Back in 1945, there was no Photoshop software that would make it easy to fake a photo. Back then, two photos would be put together by cutting parts out of the two photos, then photographing the composite photo and printing it again as one photo. This was something that was so hard to do that it was taught in Journalism school at the University of Missouri. Kudos to the person who did a good job of faking this photo. He or she gets an A for this photo. There were photographic forgeries long before Photoshop. Photo forgery is about as old as photography itself (http://www.museumofhoaxes.com/hoax/photo_database/years/category/before_1900/) and the Soviets were known for doing that pretty often. 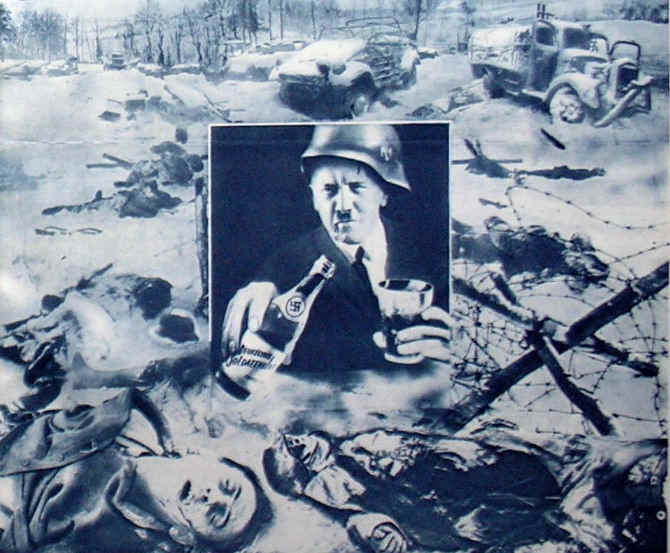 During WW2, Soviet propagandists produced photomontages such as these ones – http://www.psywarrior.com/Vilgoering286.jpg (Front Illustrated, May 1942), http://www.psywarrior.com/FrontIllustrierteVil02.jpg (Front Illustrierte fur den Deutschen Soldaten, December 1941) – for demotivational purposes. An 11-year-old Paula Lebovics (not a twin) is also in the first and sixth of the photos you presented here FG. Thanks for the link. I have added a shorter YouTube video in which Paula identifies herself in the photos. According to the (Jewish) French historian Annette Wierviorka and the Israeli-French filmmaker William Karel, the film showing the liberation of Auschwitz was staged, re-enacted. 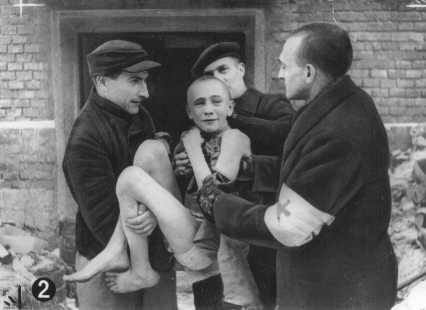 The film of the fake liberation of Auschwitz was shot with Polish extras a few weeks after the actual liberation of the camp. 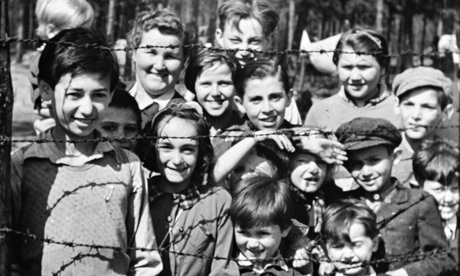 It took no less than 50 years for a historian, Annette Wieviorka, and a filmmaker, William Karel, to reveal to the general public, in a documentary entitled Contre l’oubli (“Against Forgetting”), the 1945 American and Soviet stagings and fabrications carried out in the context of the liberation of the camps in East and West. It goes without saying that, in this article by Bocard, the manipulations were presented as being offensive … for the internees. 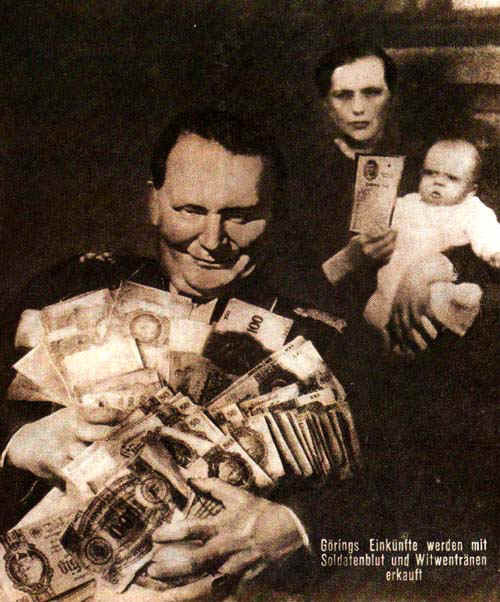 Some German soldiers and civilians denounced this sort of fakery as early as 1945 but, instead of being believed, they were accused of Nazism or anti-Semitism. When I saw the liberation film at Auschwitz in 1998, I was the only American in the audience, as far as I could tell. The rest of the people in the audience were Polish, so I had a good idea of what Polish people looked like. 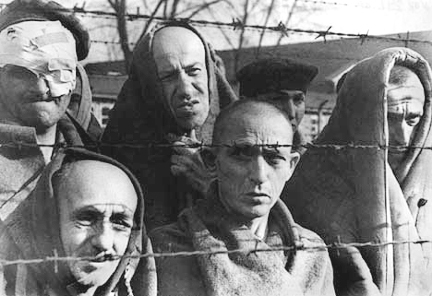 When I saw the prisoners walking out the camp in the film, my first thought was that they were Polish peasants, not Jews. I have added another photo to my blog post with the text that I wrote back in 1998 on my website. I thought Jews didn’t believe in hell, Doggy…ehrm…Wolfie. Light always destroys the Holohoax. Accurate studies reveal the scale of the Holo-farce. That’s why the only surviving “gas chambers” of the Holo-myth are all located in former Communist Poland and most of the Western “gas chambers” were admitted to be lies during the decades following WW2. The Holohoax needs to be protected by ignorance, mass propaganda, emotional tricks, threats, pressures and anti-free speech laws. Or in other words, the Holohoax only survives and grows in medieval darkness. 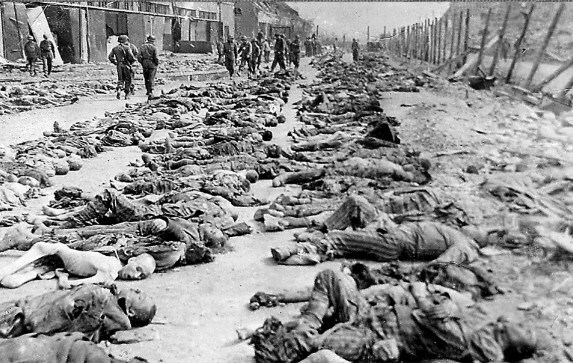 Holocaust promoters and deniers have made out good business opportunities in exploiting the victims. I wonder whether there is even a partnership or, at least, a cooperation. I wish all of them to reach the deepest part of Dante’s Hell. Greetings. WOLF..